The weather is constantly shifting around us. Everything from the temperatures to annual rainfall is changing in some way. In a recent study scientists calculated that half of the world’s yearly precipitation occurs in no more than 12 days. These 12 days are the wettest days of the year, and as the climate around the globe changes, that number may potentially reach 11 days by the end of the century. 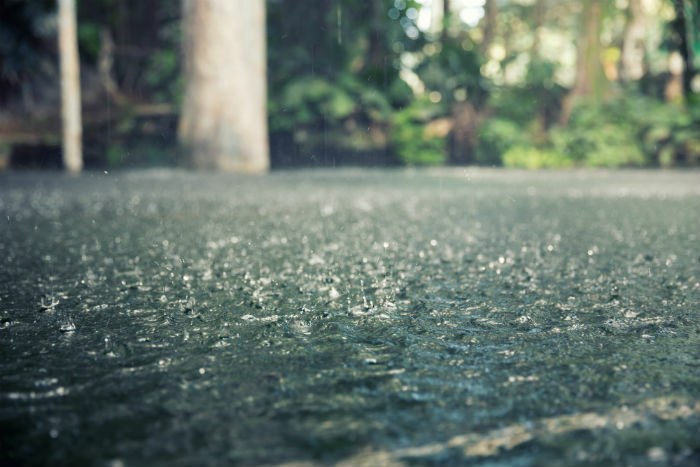 Until now, scientists thought that precipitation occurs unevenly over time. A group of scientists led by Angeline Pendergrass and Reto Knutti decided to take daily precipitation data from 185 weather stations across the world to determine the extent of this unevenness. They used the period from 1994 to 2014 and then extrapolated that through a computer simulation until the year 2100. If the atmosphere continues to heat up at the rate it is, the levels of moisture may increase and lead to even more rainfall over the coming years. The number of wet days did not change throughout the simulation. What did change is the intensity of the precipitation. This meant that less time was needed to accumulate the same amount of rain and snow. This increase in precipitation observed in these simulations was the result of extreme weather events. It is safe to expect that the days that are already wet become even wetter over time. A dangerous side-effect of these climate changes is that hurricanes might start moving more slowly. This increases flooding and damage in affected areas. Even now, hurricanes are making more landfall than in previous years. According to the simulation, these storms might become as much as 35 percent wetter than they are today. This is another reason why we as a society must increase our efforts to stop global climate change.